We have four single rooms, one double room and three family rooms (triple and quad) including a suite comprising two separate bedrooms with a dividing hallway. All rooms are subject to a minimum stay, subject to availability. Please enquire for further information. 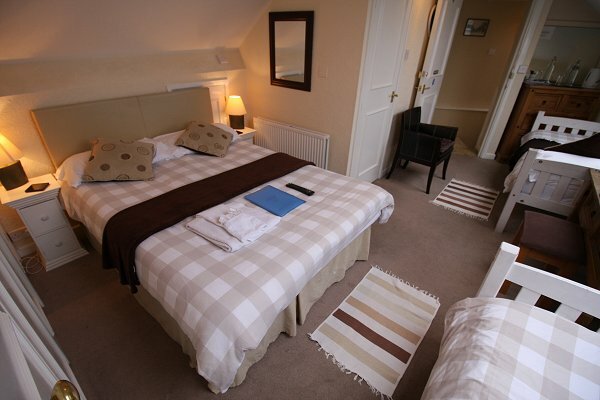 All rooms are en-suite and the above rates include full English breakfast or packed lunch. Note: These rates do not apply to the annual International Air Tattoo weekend. Weekend rates may be discounted (depending upon demand), and rates without breakfast can be discussed at the time of booking. Discounts available for long term stays. Please enquire. Please note that we have a 48 hour cancellation policy. Any Sunday night free when booking the two previous nights (subject to availability). Please mention this offer at the time of booking. Kids stay free when sharing a room with two adults (subject to availability) on any Friday, Saturday or Sunday night (offer cannot be used in conjunction with three nights for the price of two offer). Please mention this offer at the time of booking. Copyright © 2018 The Lodge, 1 Hunt Street, Old Town, Swindon SN1 3HW.